Starting with just one therapist in 2005, NeuroRehab Allied Health Network has grown to over 70 therapy & assistant staff across Melbourne and surrounds. We strive to provide our clients with the very best attention by attracting the best people. 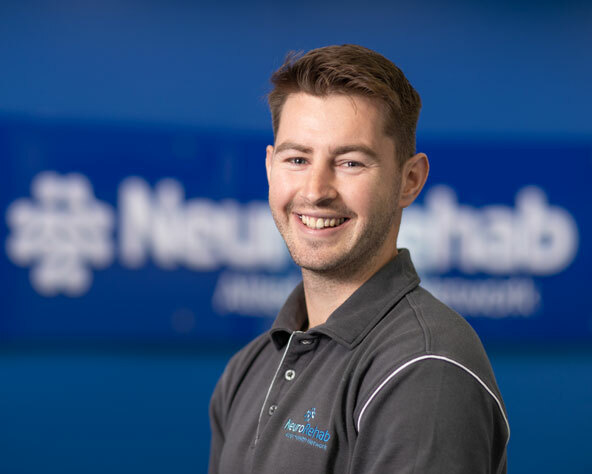 Steve has over 20 years of experience treating clients with neurological injury, establishing what is now NeuroRehab Allied Health Network in 2005. He held a senior position at Ivanhoe Private Rehabilitation Hospital, prior to joining the Royal Hospital for Neuro-Disability in London where he led the brain injury unit physiotherapy team for two years. Steve has a keen interest in spasticity and tone management, for which he devised a new scale of measurement. Steve is qualified to prescribe the Saebo range of orthoses which assist clients to regain upper limb function, and is trained to prescribe, set up and educate clients in the use of WalkAide foot drop stimulator devices. With a special interest in bed positioning, Steve established Postural Innovations with Neurological Physiotherapist, Angela Rowe, in 2008, developing a range of postural support products tailored specifically to clients with neurological injury. Dawn is a UK trained physiotherapist with over 20 years’ experience working with clients with neurological conditions in the UK, Canada, New Zealand and Australia. Dawn completed a Master of Neurological Physiotherapy at Melbourne University and is a titled member of the Australian Physiotherapy Association (APA). 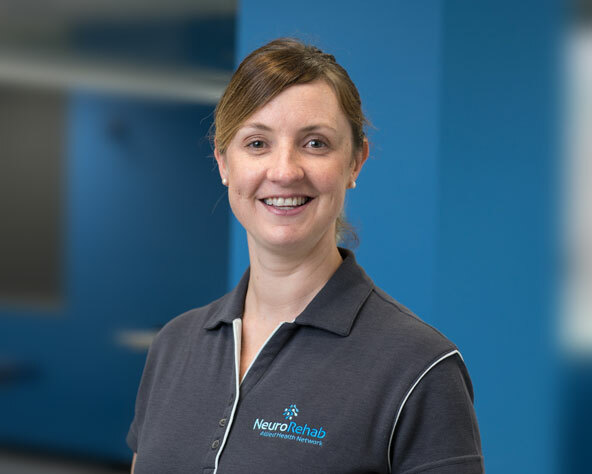 She has worked in hospital rehabilitation centres, community settings and in the private sector around Melbourne and has extensive experience with clients with progressive and chronic neurological conditions. During her employment at MS Australia, Dawn was involved in collaborative research into strength training for multiple sclerosis, with published journal articles. Dawn also has many years of experience in the assessment and prescription of complex seating and wheelchairs. Liz has over 20 years experience working in neurological rehabilitation. She has worked for extended periods of time in two of Melbourne's biggest neurological rehabilitation centres – Epworth Richmond and Camberwell. Liz covers the inner and mid south-eastern suburbs of Melbourne. Sara has a Bachelor of Physiotherapy from the University of Melbourne (2008). 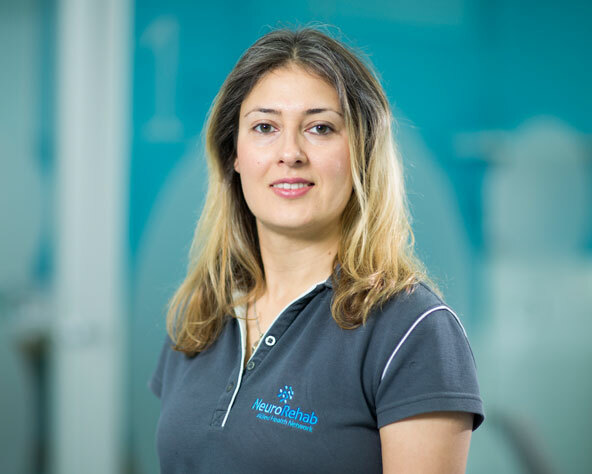 She has over 7 years experience as a physiotherapist, having worked in private practice, and more recently in the public sector with Monash Health and Austin Health. Sara gained significant neurological, neurosurgical and orthopaedic rehabilitation experience working at Kingston Centre, further consolidated by working in a community setting with Austin Health. She has a passion for neurological rehabilitation with a special interest in stroke, neurosurgery and movement disorders. Sara can also speak basic Mandarin and basic Malay. Angela has over 18 years experience, specialising in neurological physiotherapy. Having completed post graduate studies in postural management, Angela has extensive experience in wheelchair assessment and prescription. Angela is co-director of Postural Innovations, specialising in bed positioning assessment and the provision of bed positioning equipment. Larissa has a Bachelor of Physiotherapy from The University of Otago, New Zealand. Since graduating she worked in a major teaching hospital in Hawkes Bay, NZ. Larissa completed rotational positions through all departments before she took on a more senior role in the Neurological Rehabilitation department over the past two years. Larissa has a broad range of experience treating neurological clients in acute and rehabilitation settings. Larissa has additional training and a passion for managing clients with vestibular disorders. She has also recently returned from a stint in America where she spent time as a counsellor at a camp for children aged 7-15. Ellen is a physiotherapist with over 17 years of experience working with clients with neurological conditions in the UK and Australia. Ellen studied a Masters in the Bobath Concept in 2008 in the UK. She has worked in hospital rehabilitation centres, community settings and in the private sector around Melbourne and London. Ellen has extensive experience with clients with chronic neurological conditions including Multiple Sclerosis, brain injury, stroke and Parkinson's Disease. She was assisting teaching Bobath courses to Neurological Physiotherapists from 2008 to 2014 in various parts of Australia and New Zealand. Ellen has undertaken research into balance and midline issues after stroke and has a special interest in this issue. Isabela completed a Bachelor of Physiotherapy in Brazil in 2005 and Australia in 2013 from Curtin University. She has worked in private and community settings and has a passion for neurological rehabilitation and helping clients to achieve their goals. 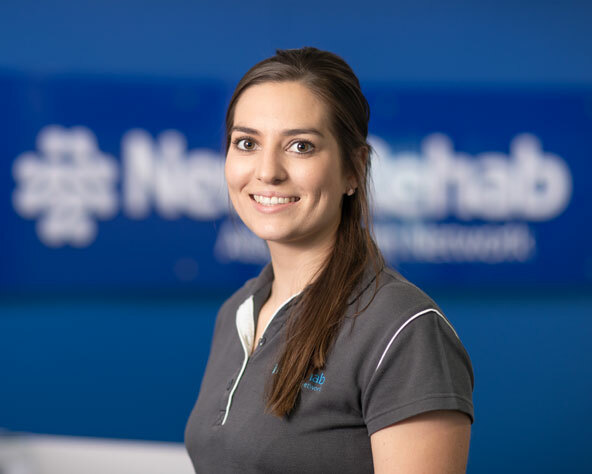 Isabela worked at Rocky Bay and Physioconcept in Western Australia and has experience with a variety of neuromuscular conditions including acquired brain injury, muscular dystrophies, spinal cord injury, Parkinson’s disease, Charcot-Marie-Tooth disease, and Guillain-Barre Syndrome. Isabela has additional training in 24-hour postural care and wheelchair prescription. She speaks fluent Portuguese and English, and basic Spanish. Katie completed a Bachelor of Physiotherapy with Honours at La Trobe University in 2011. Since then she has been working in a variety of roles across the private and public health systems, with most of her time spent in rehabilitation. Katie has experience working with clients following stroke, brain injury and other neurological conditions including Guillain Barre. She also has experience in chronic pain and orthopaedic conditions. 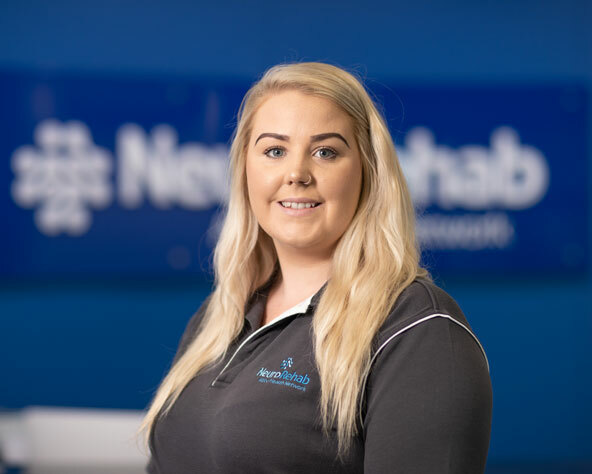 Prior to joining NeuroRehab Allied Health Network Katie gained significant experience with neurological clients as part of her role on the Acquired Brain Injury Unit at the Royal Talbot Rehabilitation Centre. Katie has a keen interest in research and has been involved in multiple published studies investigating physiotherapy services and falls management. Warwick has a Bachelor of Physiotherapy at the University of Newcastle, in 2012. He has experience working in a major regional private rehabilitation hospital and outpatient clinic in Newcastle, caring for patients with a variety conditions and illnesses. He has a special interest in hydrotherapy and is passionate about seeing clients achieve their goals. Richard has a Bachelor of Physiotherapy with Honours from Coventry University in the UK. He has always had a keen interest in neurology and has sought out unique experience in the top London hospitals such as the National Hospital for Neurology and Neurosurgery as Senior Physiotherapist. He has experience working in the UK, Australia and Holland. Richard has a special interest in vestibular physiotherapy, stroke, major trauma and conversion disorders. He enjoys playing beach volleyball, playing the harmonica and cooking up a storm in the kitchen. Richard is able to converse in Dutch. Ezgi has a Bachelor of Health Science and Master of Physiotherapy Practice from LaTrobe University (2013). She has worked in various areas across public and private services in Melbourne, providing care for individuals in the home, community, and within acute and rehabilitation hospitals. She has experience working with a broad range of neurological and vestibular conditions, and is passionate about working together with her patients to achieve goals that are meaningful to them. Maeve has a Bachelor’s Degree in Physiotherapy from Trinity College Dublin, Ireland (2014). She has worked in Ireland and New Zealand in the areas of stroke rehabilitation, paediatrics, musculoskeletal private practice, sports physiotherapy and orthopaedics. Maeve’s interest in neurological conditions sparked from her role in the Stroke Rehabilitation Ward in Auckland City Hospital where she worked in an all-ages rehabilitation ward treating clients with Stroke, Parkinson’s Disease, Brain Injury and Multiple Sclerosis. Maeve has a special interest in paediatric disability and neurology and has worked as part of the Child Development Team in Starship Children’s Hospital, Auckland. In this role she managed children between the ages of 0-18 with Cerebral Palsy, Developmental Delay, Spinal Muscular Atrophy, Duchenne’s Muscular Dystrophy and Downs Syndrome. Eoin studied at Northumbria University in the UK where he obtained a Bachelor of Science (Honours) in Physiotherapy. He completed this following a course in Physiology and Health Science in Ireland. Eoin worked in musculoskeletal private practice in the UK before moving to acute hospital care completing his rotations in the NHS covering acute neurology/stroke, respiratory and intensive care over the course of two years. He moved to New Zealand in 2014, working in Auckland City Hospital in orthopaedics and as a senior in the vascular service where he obtained a wide range of experience covering both acute therapy and rehabilitation. Eoin likes to be active and enjoys hurling (Irish sport) and football as well as hiking in the beautiful Australian sunshine (a nice change from the Irish weather). Felicity has a Bachelor of Physiotherapy from the University of Otago, New Zealand (2012). She has worked in a variety of roles at Hawkes Bay Hospital in New Zealand, most recently in the hospital’s high dependency/intensive care, acute paediatric, and acute neurology wards, as well as seeing patients in the community. Felicity has also worked in the Neurorehabilitation and Prolonged Disorders of Consciousness units at a private hospital in London, UK. Felicity has a broad range of experience treating neurological clients in acute, rehabilitation, and community settings. She is passionate about working with clients to establish what is important to them and help achieve their goals. Felicity is also currently undertaking post-graduate training toward a Masters Degree in Clinical Rehabilitation. Outside of working as a physiotherapist, Felicity likes to be active and enjoys playing soccer through the winter season. Sarah graduated from Victoria University in 2009. Since then, Sarah has predominantly worked in private practice, focusing on musculoskeletal pain management, working with a diverse range of clients. Sarah also has experience working at a Registered Training Organisation, tutoring and mentoring remedial massage students. Sarah is currently studying a Bachelor of Health Science at La Trobe University, with the intention of completing a postgraduate Masters in Physiotherapy. Farah has a Bachelor of Physiotherapy from Beheshti University, Tehran (2001) and further qualifications gained in Australia. She has more than seven years clinical experience in rehabilitation working in community health services. Farah gained extensive experience in musculoskeletal and neurological fields as a physiotherapist working in both public and private sectors, prior to moving to Australia. Farah can speak English, Persian and basic Turkish. We are pleased to welcome Corinne to the NeuroRehab Allied Health Network team. A very warm welcome to Alana to the NeuroRehab Allied Health Network team. We welcome Samuel to the NeuroRehab Allied Health Network team. We are excited to welcome Jessica to the NeuroRehab Allied Health Network team. 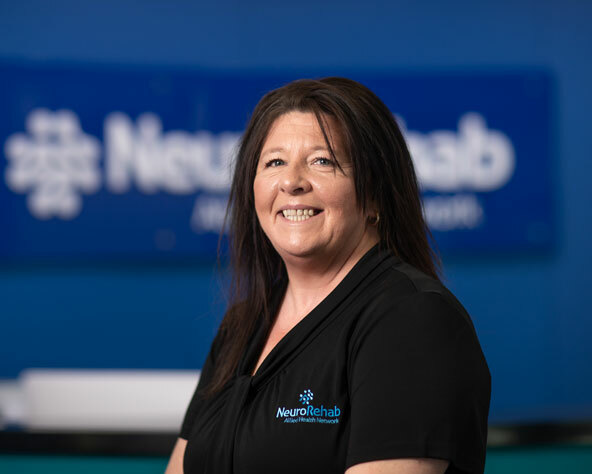 Kylie brings over 20 years of experience to NeuroRehab Allied Health Network, working as an occupational therapist in the area of neuro-rehabilitation. This includes four years on the stroke rehabilitation unit at the Royal Free Hospital in London, and over 10 years at Ivanhoe Private Rehabilitation Hospital where she was Chief for five years. Kylie has spent the last five years working in community rehabilitation specialising in acquired brain injury and is passionate about supporting people to achieve their goals to the best of their ability. Zoe has a strong background in disability support and return to work experience. 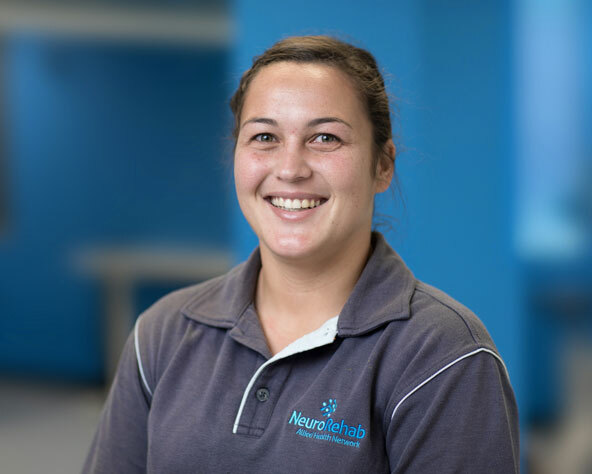 Trained in New Zealand, Zoe came to Melbourne with a passion for assisting people with neurological injury to operate at their highest functional capacity. Erin has a Bachelor of Occupational Therapy with Honours from Deakin University, and has worked as an OT across Melbourne as well as in the UK. Erin has a broad range of experience working with neurological clients in inpatient and community based rehabilitation settings. Erin is passionate about working with clients to find out what is important to them as individuals to help them achieve their goals. Sian graduated from the University of Liverpool, England, in 2013. Sian started her career as an Occupational Therapist working for the National Health Service (NHS) within both acute physical and mental health services. Upon relocating to Australia, Sian entered the field of disability equipment, specialising in the prescription of manual wheelchairs. With a focused interest in neurological rehabilitation, Sian is committed to providing person-centred support to optimise the individual’s health and wellbeing. Katherine has a post graduate Diploma in Occupational Therapy from London South Bank University and has over 10 years’ experience working in both the UK and Australia. Katherine has a strong passion for rehabilitation and has worked across a number of different fields including paediatrics, inpatient rehabilitation and community rehabilitation. 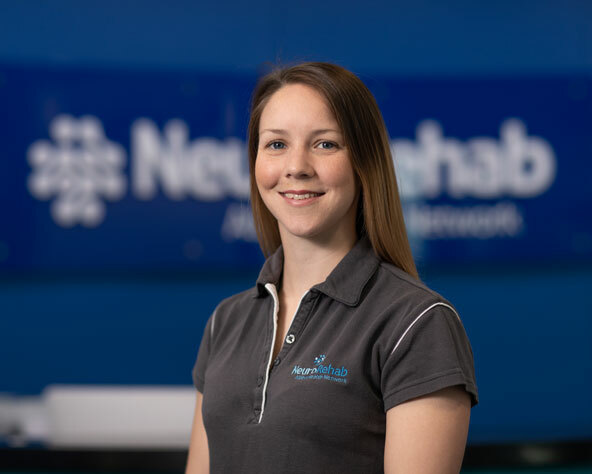 Katherine has a keen interest in neurological rehabilitation and is passionate about working collaboratively with her patients to ensure they achieve their goals. Patrick has been practising as an OT in Australia and the UK for over 10 years. He has a broad range of experience assisting people from all walks of life regain their independence and achieve their goals at home, in the community, and in the workplace. He has extensive experience in home modifications, equipment prescription, neurological rehabilitation and chronic disease management. He has a passion for working with clients from culturally and linguistically diverse backgrounds, and speaks basic Italian. Alice has a Bachelor’s degree in Occupational Therapy from LaTrobe University and is currently completing a graduate diploma in Clinical Rehabilitation at Flinders University. Alice has worked in Australia and New Zealand, working across a range of clinical areas, with a special interest in neurological rehabilitation and equipment prescription. Sarah completed a Bachelor of Occupational Therapy in 2015 at the Australian Catholic University. Sarah has worked within an inpatient trauma rehabilitation unit developing core rehabilitation skills supporting individuals to return to their home environment and achieve their personal goals. 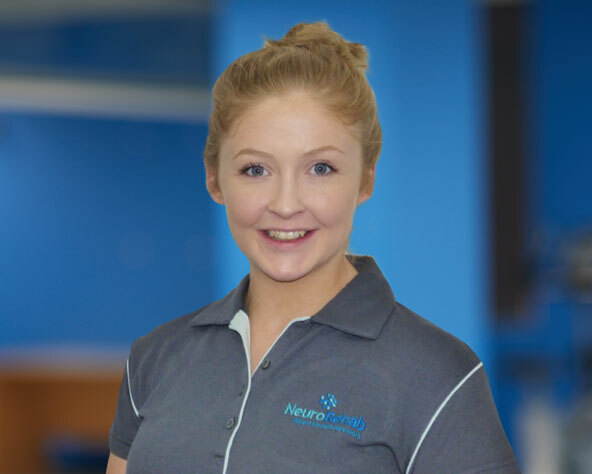 Sarah has a strong interest in neurological rehabilitation using a client centred approach to achieve optimal functioning within the home and community. Rohini completed a Masters of Occupational Therapy from LaTrobe University. Since graduating, Rohini has gained a broad range of experience including equipment prescription, home modifications, pain management and neurological rehabilitation. Rohini is passionate about providing person-centred practice to support clients to meet their goals and maximise their functional capacity. Salika completed a Bachelor of Health Science and a Masters of Occupational Therapy at LaTrobe University. Throughout her studies and placements, Salika gained experience working with a range of neurological patients at Western Health and Djerriwarrh Community Health. Prior to her OT career, Salika worked as an attendant support worker and trainer for people with spinal cord injury for 10 years. She is passionate and committed to helping patients improve their functional independence and overall health and wellbeing. A very warm welcome to our new Occupational Therapy team member Jacelyn Goh. We are pleased to welcome Katie to the NeuroRehab Allied Health Network team. We are excited to have Catherine joining our team. A warm welcome to Kirsten who joins the team in the role of Occupational Therapist. We are pleased to welcome Lily to the NeuroRehab Allied Health Network team. We are happy to have Cindy as part of our team at NeuroRehab Allied Health Network. Andrew has over 16 years experience in neurological and musculoskeletal rehabilitation and chronic disease management. He worked as a neurological exercise physiologist at Ivanhoe Private Rehabilitation Hospital for nine years and The Victorian Rehabilitation Centre for six years. He has extensive experience in community-based rehabilitation and health promotion, establishing an exercise physiology service for Healthscope Independence Services. Andrew’s areas of interest include acquired brain injury, stroke, multiple sclerosis and spinal cord injury. Dylan has a Master of Clinical Exercise Physiology from Australian Catholic University (2015). This involved experience working with clients with spinal cord injuries, musculoskeletal injuries, neurological conditions, cardiac conditions, pulmonary conditions and various chronic diseases. During this time Dylan developed a strong interest in neurological rehabilitation. Dylan is extremely enthusiastic and passionate about providing the best treatment possible for his clients. He also completed a Bachelor of Exercise and Sports Science from Australian Catholic University in 2013. Rose is an Accredited Exercise Physiologist who graduated from Deakin University in 2017 with a Master of Clinical Exercise Physiology. She previously completed a Bachelor in Exercise and Sport Science in 2015 at Australian Catholic University. She previously worked in community health as an Allied Health Assistant in chronic disease management. 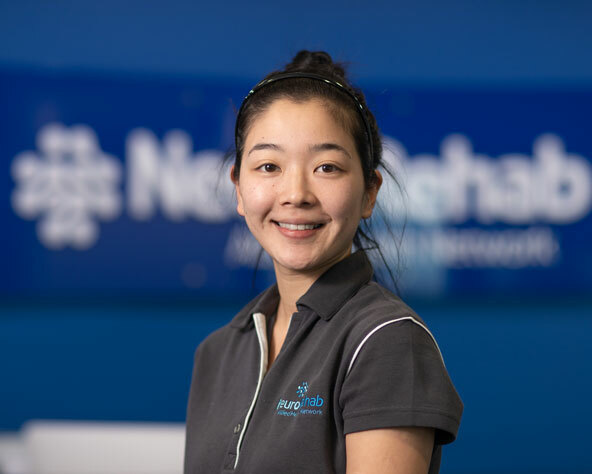 Rose is very excited to use her skills at NeuroRehab and use exercise as medicine to improve the physical and mental health of our client groups. Teekay (TK) completed a Bachelor of Physiotherapy in the Netherlands in 2010. She has worked with various clients with Parkinson’s disease, stroke, musculoskeletal injuries and other chronic diseases in the Netherlands, Australia and USA. While in the USA, Teekay completed basic training in substance abuse counselling. She is currently completing Pilates training with the Australian Physiotherapy and Pilates Institute (APPI) to become a certified Clinical Pilates instructor. Her interest is to use Clinical Pilates to successfully rehabilitate neurological clients. She speaks basic Dutch and English. Mick studied a Bachelor and Masters in Sports Science, along with a Bachelor of Physiotherapy, in Italy. He has previously worked as a coach in both Rugby Union and Soccer. Mick has experience working in a physiotherapist clinic in Madrid. Mick then moved to Australia in 2014 to undertake a PhD in Sports Science at Victoria University. Mick can speak Italian and basic Spanish. Ranga has a Bachelor of Physiotherapy from NTR University of Health Sciences, India (2006). He has over seven years of experience and has worked in residential care for an extended period of time assisting clients with neurological injuries. Ranga speaks English and Telugu. Janine has a certificate IV in Disabilities and Aged Care and has worked in the acquired brain injury field for over 20 years, assisting therapists in home settings with individual clients. 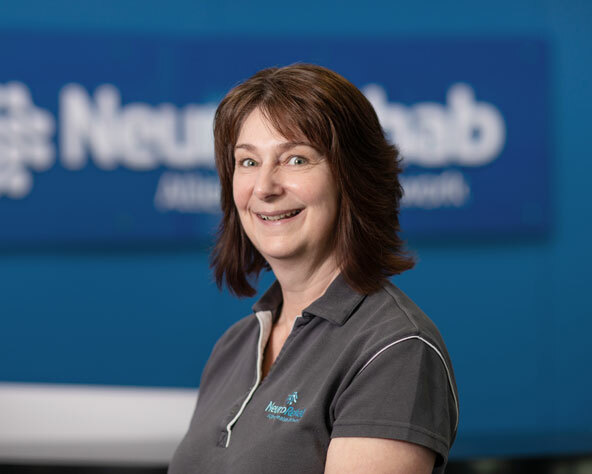 Janine is dedicated to assisting clients with a neurological injury to regain their highest and most independent functioning. Lilia graduated from Our Lady of the Rosary University in Bogotá, Colombia in 2001. In 2006 she undertook postgraduate study in rehabilitation management at La Sabana University. Lilia worked as a neurological physiotherapist in a highly respected rehabilitation centre in Colombia until 2006, when she moved to Australia. After working as an attendant support worker for two years, Lilia joined NeuroRehab Allied Health Network in 2008. Lilia is committed to assisting clients with neurological injury regain optimal functioning. Lilia can also speak Spanish. We are very pleased to welcome Sam to the NeuroRehab Allied Health Network team. Hillary is in the final stages of completing a Master in Clinical Exercise Physiology at the Australian Catholic University, having previously completed a Bachelor of Exercise Science and Human Movement at Victoria University in 2014. 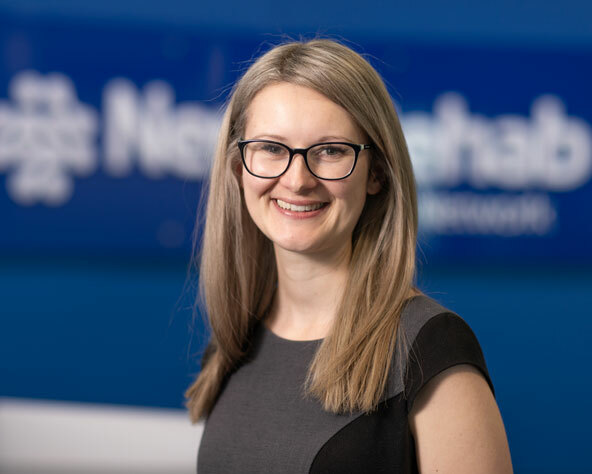 She has experience working with a range of neurological conditions throughout placements at the Royal Talbot Rehabilitation Hospital, SCIA’s Neuromoves and Monash Community Health in Paediatrics. Hillary also has a vast history in working with individuals with an intellectual disability and has a strong passion for Neurological rehabilitation and improving peoples quality of life. NeuroRehab Allied Health Network welcomes Ignacio into our Allied Health Assistant team. Ignacio holds a Bachelor of Physiotherapy degree from his home country of Chile. Ignacio speaks Spanish and English. Siana is in the final stages of completing a Bachelor of Exercise Science degree at LaTrobe University. She completed a Certificate IV in Allied Health Assistance with Exercise Research Australia (ERA). She aspires to study a Masters of Clinical Exercise Physiology in the coming years. Siana is passionate and very interested in rehabilitating and assisting with the management and recovery of musculoskeletal and neurological injuries. Alicia recently completed a Bachelor of Exercise and Sport Science at Australian Catholic University. She aspires to study a Masters of Clinical Exercise Physiology in the forthcoming years. Alicia undertook a range of placements at Waratah Developmental School, Exercise Research Australia (ERA) and St Vincent’s Hospital, throughout her university degree and internship. Alicia has a keen interest in rehabilitating and assisting with the management of musculoskeletal and neurological injuries. Nicholas has a Bachelor of Exercise Science from Salisbury University and holds a professional certification in the USA as a strength and conditioning specialist. He worked in a multitude of physical rehabilitation services in the USA including work with athletes, elderly, chronic pain states and neurological conditions, prior to returning to Australia and joining NeuroRehab Allied Health Network. Nicholas speaks conversational Italian. Salim has completed a Bachelor majoring in Exercise Science as well as Certificate IV in Fitness. He possesses diverse experience in the health and exercise industry having worked with clinical groups, elite youth athletes and the general population. 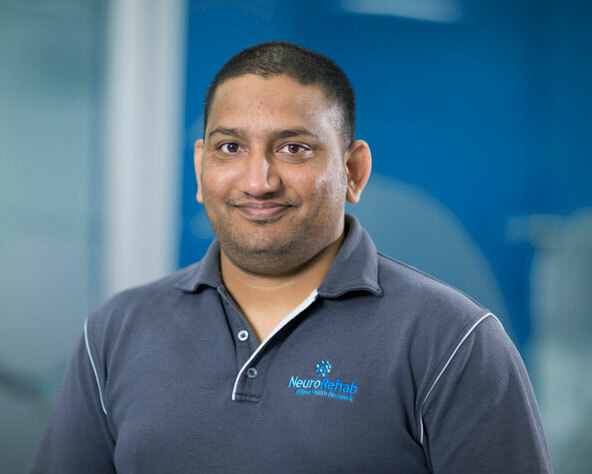 Most recently Salim has led specialised older adult exercise programs in where he has implemented a holistic approach in the management of clients with neurological, cardiovascular and osteoarthritis conditions. Devoted to improving client functionality, Salim is eager to bring his professionalism and optimism to the role. Marco completed his Bachelor of Science (2015) and is currently studying the Doctor of Physiotherapy at the University of Melbourne. 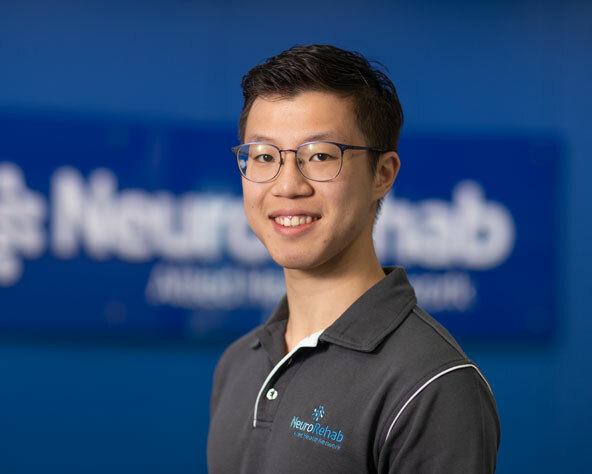 During his studies, Marco has gained experience working with patients with a range of neurological and musculoskeletal conditions during his placements at Melbourne Health and Cabrini Health. In addition, he has also worked with individuals with disabilities outside of his studies, and has been involved in providing therapy support to them. 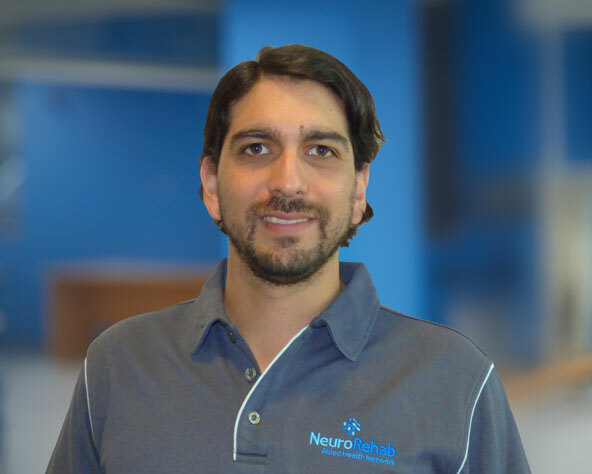 Working with clients with neurological disorders to help achieve their goals and improve their quality of life is one of the many things Marco is passionate about, and he is committed to applying evidence based treatment in this manner. Joel has a Bachelor of Exercise Science (Sports Practice) from Victoria University (2015) and is currently studying a Masters of Exercise Physiology at Charles Sturt University. He recently completed placements for Exercise Physiology at Craigieburn Health Service and Deakin Clinical Exercise Learning Centre. In 2015 he worked as a cadet with the Western Bulldogs FC in skill acquisition and performance analysis, and undertook a placement through Victoria University within the Institute of Sport, Exercise and Active Living (ISEAL) with Football Federation Victoria in sport science/ rehabilitation assisting the sports physiotherapist. Joel has completed Certificate III & IV in fitness through Exercise Research Australia and completed work placements through Good Life Health Clubs and Victoria University gym undertaking personal training. He has been a lifeguard for many years and a learn to swim instructor. Joel is passionate about the healthcare industry and is committed to helping clients achieve their goals. Kanna has a Bachelor of Health Science from Monash University, with a focused interest in Human Rights issues experienced by people with disabilities. She has been working in the field since 2009 and has a range of experience working with people with intellectual disability. Kanna is passionate about improving the quality of life of people with disabilities and building a society where they are treated with dignity and respect. Amberlee has recently completed a Bachelor of Psychological Science at the Australian College of Applied Psychology in Melbourne. Throughout her studies, Amberlee has gained a wealth of knowledge, skills and experience in the discipline of Psychology and is particularly interested in the cognitive and behavioural effects of neurological disorders. Amberlee intends to undertake further study in the near future and is fully committed to ensuring each NeuroRehab client is achieving their individual therapeutic goals. Rebecca completed a Bachelor’s degree in Exercise Science from the University of Nebraska, Omaha in 2017. Bec studied in America as a student-athlete and played tennis. She is in the final stages of completing a Certificate IV in Allied Health Assistance with Exercise Research Australia (ERA). She has completed a variety of placements such as Kieser Training, Monash Health, Waratah Special Development School, Thornbury High School, and Belgravia Leisure, throughout her studies. Rebecca is looking to return to university to study Occupational Therapy and is passionate about improving wellbeing and getting people back to the activities they love. Riley completed a Bachelor of Applied Science (Exercise and Sport Science) from RMIT in 2016 and has always had a passion for working with people in the health and sport industry. Riley has been involved with multiple sports teams injury rehabilitation, and high performance data collection for Essendon's VFL team as well. Having worked as a lifeguard and a personal trainer, Riley is looking forward to helping community members get back to their best health. Maddison is in the final stages of completing a Bachelor in Exercise Science at La Trobe University. She recently completed a Certificate IV in Allied Health Assistance with Exercise Research Australia (ERA). Through this, she found a passion for working with people to help achieve their goals, no matter how big or small. Maddi aspires to go on to study a Masters of Exercise Physiology after her Bachelor's degree as she believes exercise is the best medicine. Luke is currently studying a Doctor of Physiotherapy at the University of Melbourne, after completing a Bachelor of Science in 2015. During his studies, Luke worked at Western Health, helping individuals with neurological conditions to achieve their goals in the community. 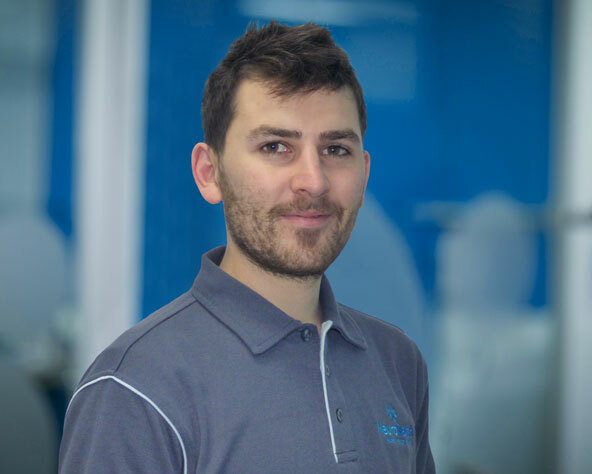 Luke is passionate about neurological rehabilitation and is committed to providing evidence based treatment to improve the health and wellbeing of each individual. We are pleased to have Alexandra as part of our dedicated team. A very warm welcome to Mariana who has recently joined us at NeuroRehab Allied Health Network. We are pleased to welcome Rosie to the NeuroRehab Allied Health Network team. We are pleased to introduce Lucy to the team. 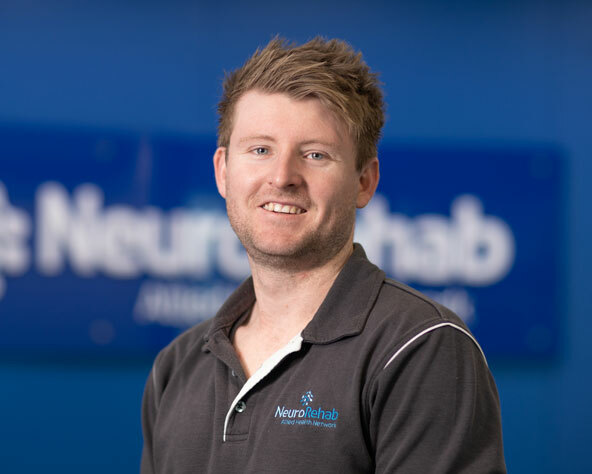 We are pleased to welcome Luke to the NeuroRehab Allied Health Network team. We are excited to have Marcus join our dedicated team. A very warm welcome to Daniel who has recently joined us at NeuroRehab Allied Health Network. Brianne completed a Diploma of Remedial Massage at Sage Institute of Massage in 2015. Since graduating, Brianne has been working in a massage clinic helping her clients to alleviate musculoskeletal pain including acute and chronic conditions. Her goals with NeuroRehab’s clientele are to improve their quality of life by decreasing their pain and discomfort and also to improve their mobility. Natalie completed an Advanced Diploma of Myotherapy at Royal Melbourne Institute of Technology (RMIT) in November 2016. 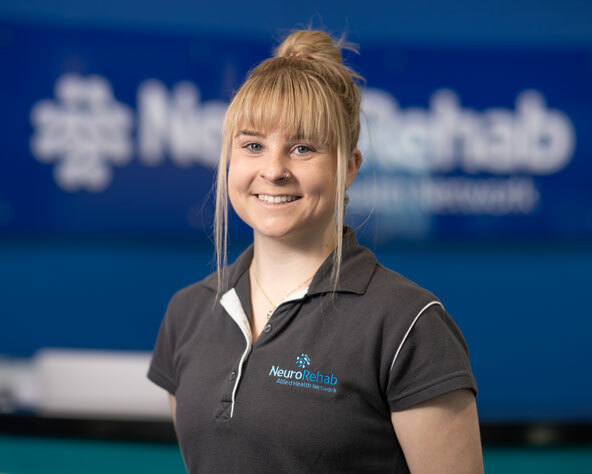 During her studies, Natalie mainly worked in sporting clubs with various athletes, however wanted to expand her range of clients and focus on different aspects including rehabilitation and neuro-muscular dysfunctions. Natalie is passionate about understanding each individual client’s needs and helping them achieve their rehabilitation goals. Cassie completed a Diploma of Remedial Massage at the Melbourne Institute of Massage Therapy in 2017. Since graduating she has worked with a diverse client base, with valuable experience treating musculoskeletal pain and discomfort, from both chronic and acute conditions. 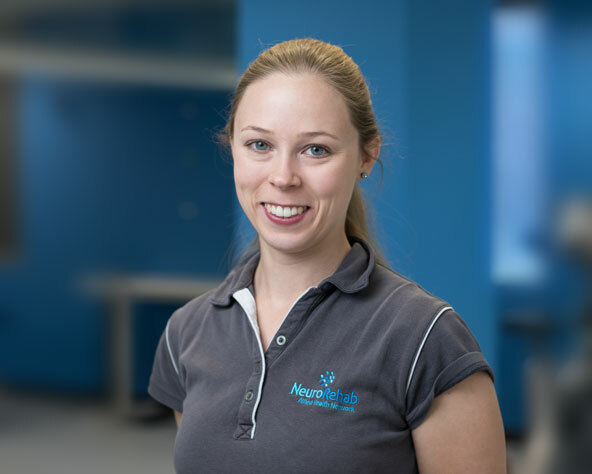 Cassie is passionate about neurological rehabilitation and is committed to helping clients achieve their rehabilitation goals. Cassie has also completed her Bachelor of Health Science at La Trobe university, and has been accepted to do her Masters of Physiotherapy in 2019. We are very pleased to have Melissa as part of NeuroRehab Allied Health Network’s Remedial Massage team. We have recently welcomed Daniella to the NeuroRehab Allied Health Network team. Chantelle graduated from the University of Newcastle in 2010 and has over seven years experience working in rehabilitation. Chantelle spent two years in London working predominantly with neurological caseloads in community settings and in stroke rehabilitation. In 2016, Chantelle moved to Melbourne where she worked in both private and public settings. Chantelle recently commenced an Associate Degree in Dementia Care through the University of Tasmania and is currently assisting with research at LaTrobe University. Chantelle is passionate about working with clients to achieve their goals and has a special interest in cognitive and communication disorders. Erin completed a Bachelor's degree in Speech and Hearing Sciences in 2008 and a Masters in Speech and Language Pathology in 2010 at Macquarie University. Erin has over five years experience working in acute hospital and adult inpatient and outpatient rehabilitation. Whilst living in Sydney, Erin worked at Macquarie University Hospital, MQ Health Speech and Hearing Clinic, as well as Mt Wilga Private Hospital. Her experience has covered a broad range of areas including assessment and management of communication and swallowing problems across the areas of TBI, stroke, progressive neurological disorders, head and neck cancer and oncology. Erin has particular interest in acquired communication disorders and is passionate about assisting clients with their rehabilitative goals. Katrina has a Master of Speech Language Pathology from the University of Sydney, and a Bachelor of Science from the University of Melbourne. She has gained a broad range of experience working with children and adults with communication and swallowing difficulties across clinic, community, and hospital settings. Katrina has particular experience working with clients who have disabilities and delays including Autism Spectrum Disorder (ASD), developmental delays, as well as neurological disorders including Cerebral Palsy. Katrina is passionate about working with clients holistically in their natural, everyday environments, to achieve functional and meaningful goals. Adam completed a BSc (Hons) in Speech Pathology and Therapy in 2014 at Manchester Metropolitan University in England, UK. Adam held two roles in England working with a broad range of clients in different settings before moving to Melbourne in December 2017. 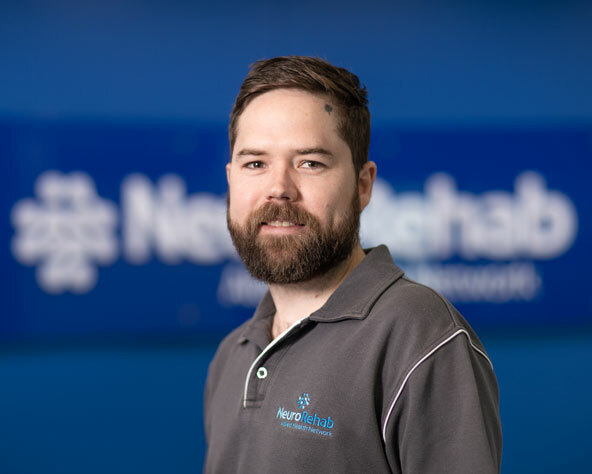 Adam is excited to be a part of the NeuroRehab Allied Health Network team and to further develop as a Speech Pathologist. We are pleased to welcome Cindy to the NeuroRehab Allied Health Network team. Yuki has a Bachelor's degree in Psychology and a Masters of Music Therapy from the University of Melbourne. Upon completing her Masters, she worked in Western Australia as a clinical specialist at Sing&Grow Australia and her own private practice, Music Therapy Now. She has worked in a variety of public and private healthcare settings predominantly in acquired brain injury, disability and early childhood development. Yuki was previously the WA state chair for the Australian Music Therapy Association and a current member of the national social media committee. She also runs a podcast discussing music therapy with a variety of music and health professionals. Belinda has a Doctorate degree in Clinical Neuropsychology and has experience within various private and public health settings. She works with adult clients with acquired brain injuries, and neurological or neurodegenerative disorders. Belinda has a special interest in cognitive rehabilitation, diagnostic assessments, decision-making capacity assessments, and supporting patients to return to work. Belinda practices within a patient-centred framework using clinical techniques (i.e. motivational interviewing) to help patients set and achieve meaningful goals. An audiologist by profession, Jenny now acts as office manager for this family run business. Jenny is the first point of call for all NeuroRehab Allied Health Network enquiries and welcomes any questions you may have. Jenny is able to provide information about our full range of services and advise applicable treatment costs. Glenda is our welcoming receptionist at NeuroRehab Allied Health Network’s Thomastown clinic. She is available to answer any questions you may have about the services we offer at our clinics, or through our home visit service. Glenda is happy to help. Ella is a receptionist at NeuroRehab Allied Health Network's Deer Park and Thomastown clinics. She is currently studying a Bachelor of Psychology (Honours) with a co-major in Neuroscience at Swinburne University of Technology. Ella has a passion for helping others, and hopes to one day conduct research of her own. If you have any questions about the range of services we offer, Ella will be happy to help. Gail is NeuroRehab Allied Health Network’s friendly receptionist at our Deer Park clinic. If you have any questions about the range of services we offer at our clinics or through our home visit service, Gail is here to help. We are pleased to welcome Kirsty to the NeuroRehab Allied Health Network team. Michelle has many years of experience working as a practice manager for physiotherapy clinics. Michelle handles a range of administration tasks for NeuroRehab including service agreements with care organisations, compliance management, and human resources. Based at our Deer Park clinic, Michelle also assists with reception. Sheridan is NeuroRehab Allied Health Network’s Accounts Officer, operating out of our Deer Park clinic. Sheridan has Certificate IVs in Accounting and Bookkeeping and is here to help with any of your funding, fees or accounts enquiries. Kerry is part of our friendly accounts team, working alongside Sheridan in our Deer Park clinic, processing accounts and handling enquiries relating to funding, fees and accounts. Kimberley is part of the NeuroRehab Allied Health Network accounts team. We are pleased to welcome Scott to the NeuroRehab Allied Health Network team. A very warm welcome to Kailli who has recently joined us. Esmarie recently joined our welcoming reception team. We are pleased to welcome Jackie to the NeuroRehab Allied Health Network team.